Provide comfort for the family of Berthella Clark with a meaningful gesture of sympathy. Sis. Berthella Clark, also known as Bert, Ms. Berthella, Sis. 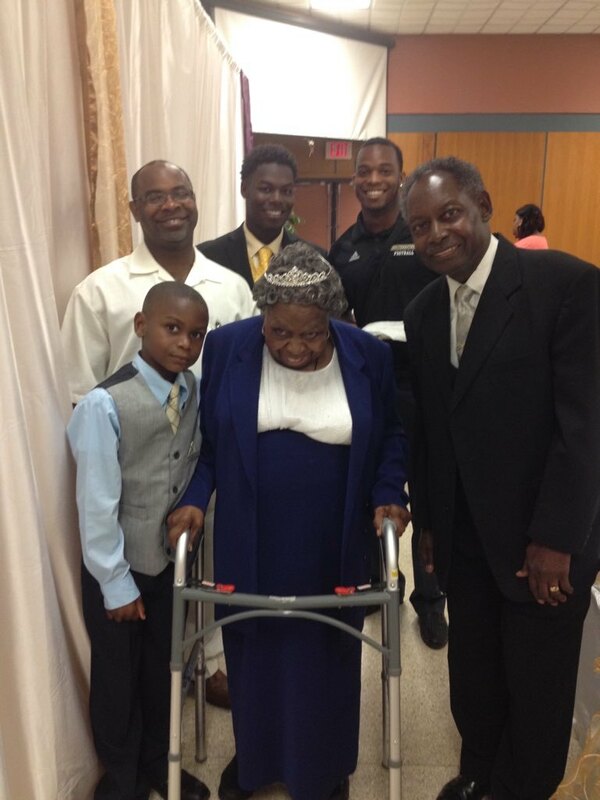 Clark, and MaDear, was a woman of distinction, love, patience, inspiration, godliness, and a mother to all. MaDear, as she was affectionately known, never met a stranger. Sis. Berthella Clark, the second of three children were born in Scotlandville, LA on October 21, 1921 to late Lenard and Ernestine Mack. She attended Southern Training School in Scotlandville, LA. Her family moved to Gramercy, LA after the passing of her father. She attended Colonial Elementary School and graduated valedictorian of her class. 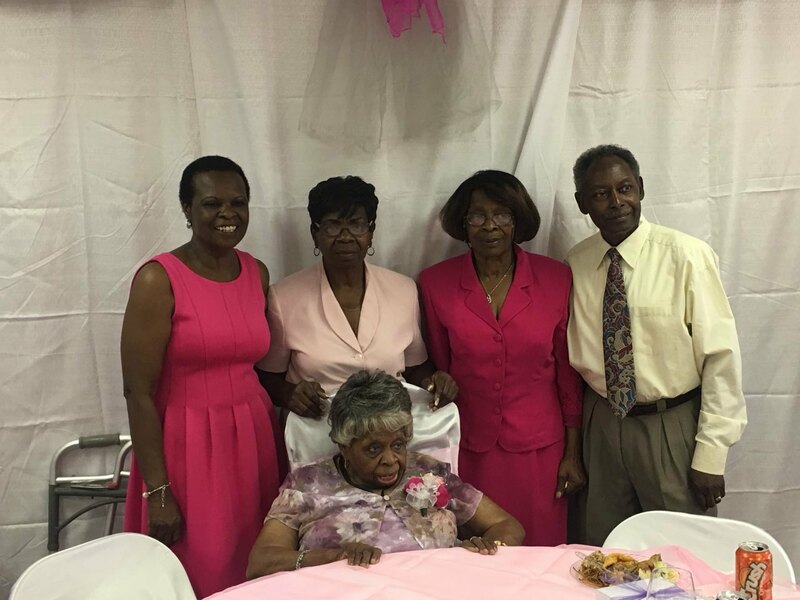 She was baptized on August 27, 1937 at Greater Golden Grove Baptist Church by Rev. Abe Smith. Sis. Berthella married Eddie Clark in June 1941, and she was the mother of six children. She leaves to cherish her memories three daughters, Joyce Clark and Barbara J.C. Woods of Gramercy, LA and Beverly (Harold) Collier of Chicago, IL; one sister, Lee Ester Bolden; three sisters-in-law, Virvin Clark, Cloria Clark, and Virginia Clark; one brother-in-law, Norwood Clark; one Godchild, Courtney McCullin, 10 grandchildren; 11 great-grandchildren; and a host of nieces, nephews, relatives, and friends. She was a cook at Abreo’s Restaurant and Colonial Elementary School in Gramercy, LA and Commander’s Palace and Algoods Restaurants in New Orleans. Sis. Clark was an active and accomplished community member. She was the president of Colonial School PTA, co-founder and later president of the Friendly Club of Gramercy, a member of the Second District Association, a member of the Concerned Citizens of Gramercy, a Girl Scout leader, and member of one of the first groups to become a registered voter. 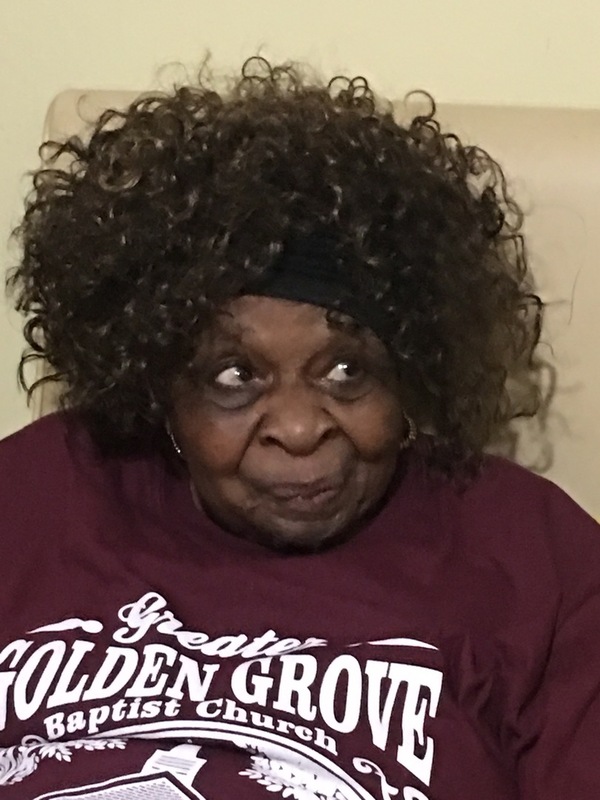 While serving at the Greater Golden Grove Baptist Church, she held many positions. She was the superintendent of Sunday school, and she was a member of the choir, mission, prayer group, bible study, and building committee. Sis. Clark also dedicated her time to babysitting and caring for her loved ones all while sewing for the community and motivating people to join the church. Her hobbies included sewing, cooking, growing flowers, gardening, and being surrounded by people (especially children). Sis. Berthella’s favorite scripture was Hebrew 11:1, “Now faith is the substance of things hoped for, the evidence of things not seen,” and her favorite hymn was “Jesus Keep Me Near the Cross.” May the work she has done speak for her. Sis. Berthella Clark was preceded in death by her parents, Lenard and Ernestine Mack; stepfather, Joseph Nelson; husband, Eddie Clark; one sister, Edith Fears; one daughter, Sandra Jones; two sons, Ronald Joseph Clark and Charles Kirklon, Jr.; and one grandson, Curtis Nicholson, Jr.
Funeral services will be held on Saturday, January 12, 2019 from Greater Golden Grove Baptist Church, 127 S. Mulberry St., Gramercy, LA 70052. Rev. Ulysses Jarrow, Pastor and Officiant. Visitation 9:00AM with service time 11:00AM. Interment St. Joseph Catholic Church Cemetery, Paulina, L.A. 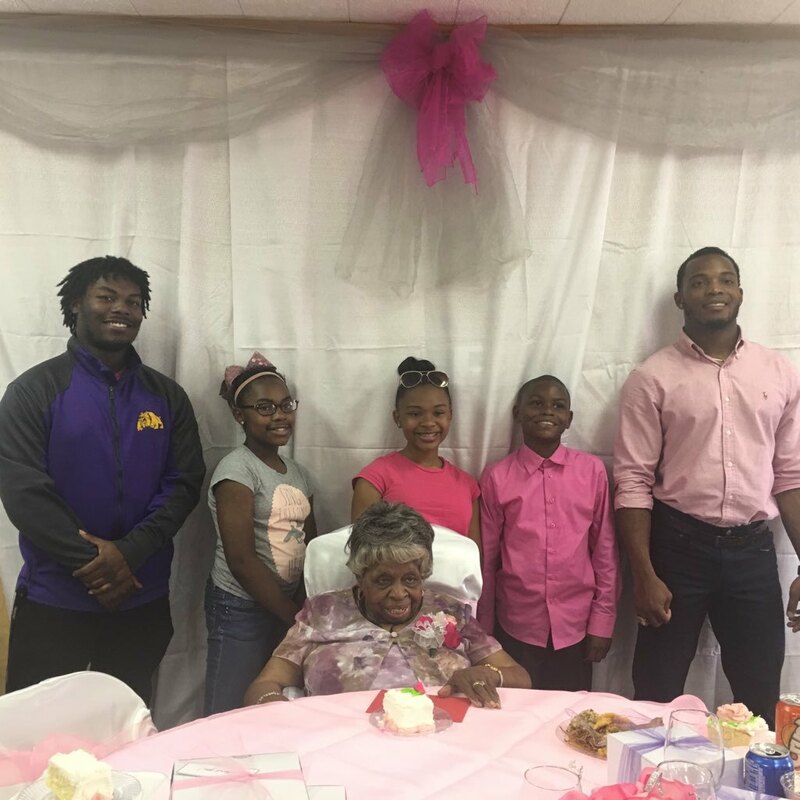 There will be a gathering of family and friends on Friday, January 11, 2019 from 4:00PM to 6:00PM at Treasures of Life Funeral Services, 315 E. Airline Hwy, Gramercy, LA 70052, who have been entrusted with her final care. To send flowers to the family of Berthella Clark (Mack), please visit our Heartfelt Sympathies Store. We encourage you to share any memorable photos or stories about Berthella. All tributes placed on and purchased through this memorial website will remain on in perpetuity for generations. Provide comfort for the family of Berthella Clark (Mack) by sending flowers.